NBA Commissioner Adam Silver was everything you would want in a leader during a crisis. Some people go to pieces during a crisis. Silver stepped to the podium, delivered his statement dropping the hammer on LA Clippers owner Donald Sterling and took questions from the media like he’s been doing practice press conferences every hour on the hour since he took over as commissioner. Silver acted quick: We’re 72 hours removed from the story of Sterling’s repugnant comments. Silver held a press conference the day the story broke ad promised swift action. While he stumbled in that first press conference, he did everything he mentioned over the weekend. He spoke in an authoritative tone: Time will tell how this all plays out, but Silver sounded like he’s in the driver’s seat — and this debacle could have run away from him quickly. He rallied the troops before speaking: Words from a leader mean nothing if they aren’t carried out by the rank and file. Silver mentioned he spoke with both players and owners prior to the press conference. Statements of support flooded out after the conclusion. The effort was coordinated and presented a united NBA. 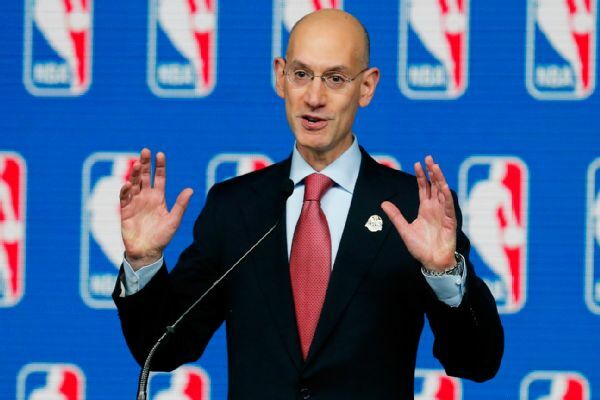 He apologized, but did not own things beyond his control: Silver issued a sincere-sounding apology but refused to answer for the tenure of previous commissioner David Stern. Don’t take my word for it. See for yourself. This will be a case study in what to do when things go wrong in the future.